In the event of an emergency outside surgery hours, a recorded message at your practice will have details of the on-call dentist. Whenever possible, please contact us during surgery hours. We endeavour to see any emergencies the same day. 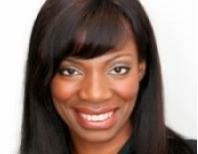 Ask Dr. Uchenna to answer all your questions or book an appointment with a dentist in London. "Being a nervous patient, I felt totally at ease during the course of the treatment! Looking forward to my next visit with Dr Okoye. "Patrick Cardas - View all our testimonials here.